Match ends, Paris Saint Germain 3, Caen 0. Second Half ends, Paris Saint Germain 3, Caen 0. Malik Tchokounte (Caen) wins a free kick in the defensive half. Timothy Weah (Paris Saint Germain) is shown the yellow card for excessive celebration. Goal! Paris Saint Germain 3, Caen 0. Timothy Weah (Paris Saint Germain) left footed shot from very close range to the centre of the goal. Attempt saved. Timothy Weah (Paris Saint Germain) right footed shot from the right side of the box is saved in the bottom left corner. Assisted by Moussa Diaby with a through ball. Substitution, Paris Saint Germain. Timothy Weah replaces Neymar. Attempt missed. Neymar (Paris Saint Germain) right footed shot from outside the box is too high from a direct free kick. Penalty conceded by Emmanuel Imorou (Caen) after a foul in the penalty area. Substitution, Caen. Timo Stavitski replaces Casimir Ninga. Corner, Caen. Conceded by Thiago Silva. Attempt blocked. Neymar (Paris Saint Germain) right footed shot from the centre of the box is blocked. Substitution, Paris Saint Germain. Moussa Diaby replaces Lass Diarra. Corner, Caen. Conceded by Marquinhos. Substitution, Caen. Enzo Crivelli replaces Jessy Deminguet. Jessy Deminguet (Caen) wins a free kick in the defensive half. Attempt saved. Ángel Di María (Paris Saint Germain) header from very close range is saved in the centre of the goal. Corner, Paris Saint Germain. Conceded by Emmanuel Imorou. Corner, Paris Saint Germain. Conceded by Stef Peeters. Stef Peeters (Caen) hits the left post with a left footed shot from outside the box from a direct free kick. Second Half begins Paris Saint Germain 2, Caen 0. Substitution, Caen. Emmanuel Imorou replaces Adama Mbengue. First Half ends, Paris Saint Germain 2, Caen 0. Attempt blocked. Stef Peeters (Caen) left footed shot from the left side of the box is blocked. Assisted by Alexander Djiku with a headed pass. Attempt missed. Adama Mbengue (Caen) left footed shot from outside the box is too high following a corner. Corner, Caen. Conceded by Gianluigi Buffon. 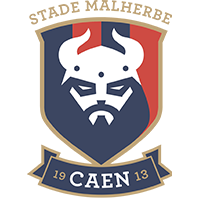 Adama Mbengue (Caen) wins a free kick on the left wing. Yoel Armougom (Caen) wins a free kick in the defensive half. Offside, Caen. Stef Peeters tries a through ball, but Malik Tchokounte is caught offside. Goal! Paris Saint Germain 2, Caen 0. Adrien Rabiot (Paris Saint Germain) left footed shot from very close range to the bottom left corner. Assisted by Ángel Di María following a fast break. Corner, Paris Saint Germain. Conceded by Adama Mbengue. Attempt saved. Ángel Di María (Paris Saint Germain) left footed shot from the left side of the box is saved in the bottom right corner. Assisted by Stanley N'Soki. Attempt saved. Malik Tchokounte (Caen) right footed shot from the left side of the box is saved in the top centre of the goal. Assisted by Stef Peeters. Attempt saved. Antoine Bernede (Paris Saint Germain) left footed shot from outside the box is saved in the centre of the goal. Assisted by Ángel Di María. Corner, Paris Saint Germain. Conceded by Jessy Deminguet. Corner, Paris Saint Germain. Conceded by Romain Genevois. Lass Diarra (Paris Saint Germain) wins a free kick in the attacking half. Offside, Caen. Adama Mbengue tries a through ball, but Casimir Ninga is caught offside. Goal! Paris Saint Germain 1, Caen 0. Neymar (Paris Saint Germain) left footed shot from the centre of the box to the bottom left corner. Assisted by Christopher Nkunku with a through ball. Neymar (Paris Saint Germain) wins a free kick on the right wing. Offside, Caen. Romain Genevois tries a through ball, but Malik Tchokounte is caught offside.